At times work commitments of our foster families require help in exercising their foster shepherd. If our balance of shepherds that need saving and foster homes is out of balance, we may temporarily kennel our dogs to wait for a foster home. Depending on the age of the shepherd we need volunteers to walk or run with these shepherds in our care. Please submit an application at http://www.gsrnc.org/vol_quest.asp. Please keep in mind that we operate in the following counties: Alameda, Contra Costa, Marin, Monterey, Napa, Placer, Sacramento, San Benito, San Francisco, San Mateo, Santa Clara, Santa Cruz, Solano, Sonoma, and Yolo Counties. 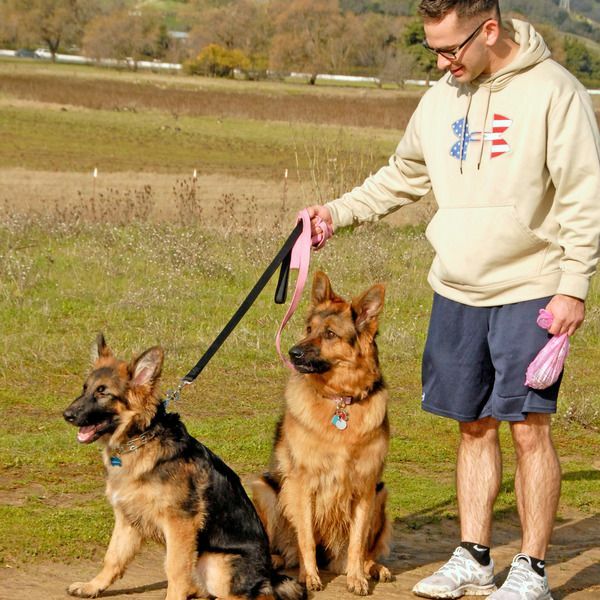 Log in to see who is volunteering for Walk a German Shepherd!